Where imagination and creativity has no boundaries! Art education is a key to training generations capable of inventing the world they have inherited. Arts can help each individual to form tolerant and dynamic citizens for our globalizing world. Here in heART Studio,we know that early engagement with the Arts has a positive impact on young people – raising aspirations, increasing confidence, improving communication skills and unlocking creativity. We believe that Art allows children to explore new worlds and to view life from another perspective. Art also encourages individuals to sharpen their skills and to nurture their imagination and intellect. Involvement in the arts is also associated with gains in math, reading, cognitive ability, critical thinking, and verbal skill. 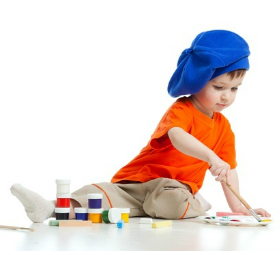 Arts learning can also improve motivation, concentration, confidence, and teamwork. Our program enhance progressive thinking and preparing children from Nursery to Primary School, we include appropriate activities uniquely designed to engage and inspire them and to cultivate their creativity thus learning technical art skills, at the same time closes the gap so that no child will be left behind. In heART Studio, we believe in providing quality Arts education for all our students to gain mastery in making art, to nurture their creative potential and to cultivate a community of artists and art lovers of all ages. An ordinary mother to 3 wonderful boys, She is a certified teacher in programs such as music and movement as well as speech and drama. Having 3 boys made her feel like a super battling with days that could be so hectic but yet filled with so much fun and love. She knew then, that the passion she had for children and their development could be expanded into an adventure that is worthwhile. 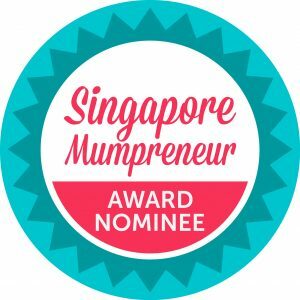 As a stay home mum, she took notice of her children’s progress in academic as well as their interest in other areas. One of the many reasons to why she decided to set up heART studio was when she noticed her eldest son’s interest and love for Art. 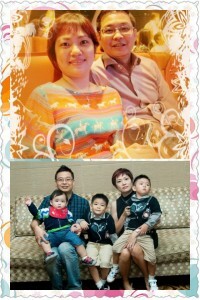 As supportive parents, both her and her husband decided to their son to an art studio where he learned art for 2 years. However, even after sending their child to learn art in the particular school for years, her strong motherly instincts kept telling her that it still has not succeeded in shaping their child’s self-confidence. It was then she knew that she had to do something, not only to help her own child but also other parents who faced the same dilemma with their children. With a belief that she had and her passion for the children, heART Studio was set up in August 2012 together with a team of dedicated teachers who shared the same passion. Interested to attend a trial class?